Callaway has today announced its full golf ball line-up for 2017. The four models include a new addition to the Chrome Soft line up, the Chrome Soft X, offering soft feel with Tour-level distance, workability and control. 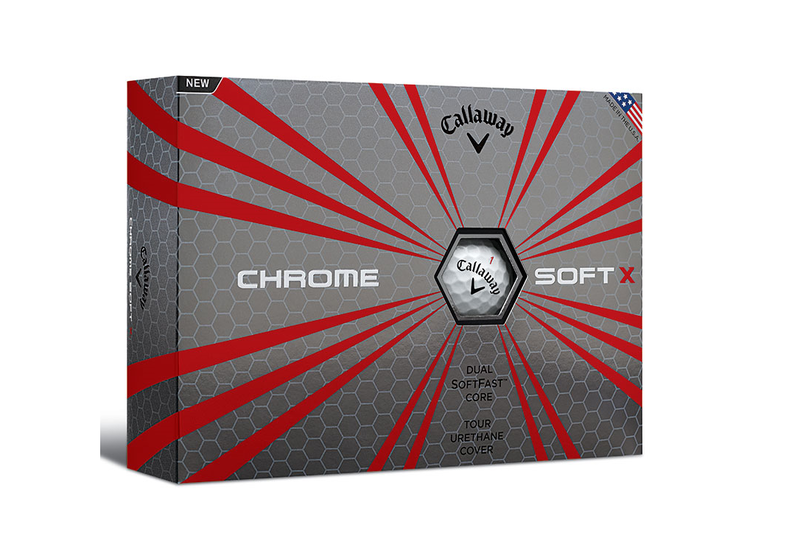 Chrome Soft X and Chrome Soft share four-piece ball construction consisting of Callaway’s innovative two-layer Dual SoftFast Core, spin-regulating SubMantle and ultra-soft urethane cover, as well as flight-extending HEX aerodynamics. 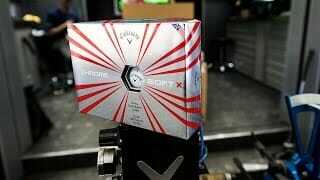 The difference lies in Chrome Soft X’s firmer core and cover combination, which promotes more ball speed off the tee, more spin through-the-bag, and a piercing and workable ball flight. The Dual SoftFast Core is engineered to promote faster ball speed and distance off the long clubs and more control in the short clubs. As well as the new Chrome Soft X Callaway improved their other ball offerings for 2017. Supersoft is Callaway’s softest-feeling golf ball, that dials in super-straight distance. The company’s lowest compression golf ball, it features a new ultra-low compression core to promote faster ball speeds and super-low spin for longer, straighter flights on full shots. Specifically designed for distance-seekers, it benefits from a large, soft, highly compressible high-energy core that unlocks astonishing ball speed. Coupled to HEX Aerodynamics® to reduce drag and promote a high launch, Warbird is perfect for players seeking increased speed off the tee, more hang-time and more yards. 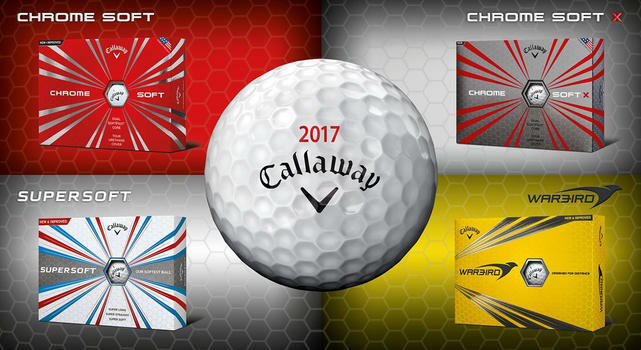 The 2017 Callaway Golf Ball line-up will be available from February 3, 2017. All balls are available in white and yellow colour options, with Truvis colour options available in the Chrome Soft range.